Colman Coyle is delighted to announce the arrival of Ege Sever to our Dispute Resolution department. Ege will join us as a Legal Assistant to provide vital support to the growing team. Ege will also be joining our Turkish Desk to further strengthen the international department. 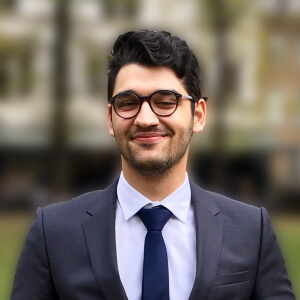 Ege graduated from the University of East Anglia with an Upper-Second class honours law degree and has recently gained a Distinction in the Legal Practice Course with MSc in Law, Business and Management. We look forward to Ege starting his training contract with Colman Coyle in 2018 and becoming part of the continued success for the Dispute Resolution team.